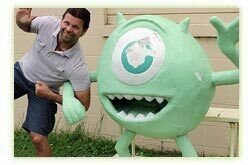 You say you want evidence of alien life, take a look at this picture with Believe It Tour host Mike Esordi. My guest this week explains his passion as he travels the globe to investigate mysteries. Michael Esordi was born and raised in the Downriver area of Michigan, which covers the southern suburbs of Detroit, Michael Esordi, spent his childhood creating, inventing and exploring. An extraordinary imagination opened his eyes to a world of inconceivable possibilities. While family trips around the country formed his eagerness to see new treasures and never willing to sit still. When the time came he headed east to pursue an education in art and design. After graduating from the prestigious Rhode Island School of Design in 1991, he lived in Florida then California, before moving to Connecticut. It was his career in the creative world that reignited his interest in the legend of Bigfoot. In the early 90′s while on a commercial photo-shoot in the redwoods, Michael had time to interview locals concerning their knowledge of the creature. One particular chainsaw artist he spoke with had such convincing stories, Michael decided that he would pursue this fascinating topic. Years of investigation strengthened the interest in storytelling as it relates to not only legends such as Bigfoot, but in the areas of paranormal, extraterrestrial and monsters as well. While some storys can be best described as “tall tales” many open the possibility of “what if?”. It’s that part that helped spark the creation of Believe It Tour. Having numerous paranormal experiences dating back to his childhood, Michael quickly adapted his investigations to include these new areas of focus. In fact, he gets equally excited to poke around historic buildings during a ghost hunt as he is trudging through a swamp looking for monsters and cryptids. It has also become obvious from interviewing witnesses that those who have continued to view the world with the same open mind they had as children are the ones willing to share their stories and experiences. The Believe It Tour has a goal to help us connect and share our stories. Right up my alley, this week I welcome Michael Esordi. As a kid I grew up around animals, we had several cats, a dog, and a horse. From time to we'd take care of a wounded bird or a bunch of baby bunnies who lost their mother. I've always had a soft spot for our furry or feathered friends. For many years I just assumed they were less than me, but I knew that each one seemed to have it's own personality, but I still considered myself above them. Now many things have happened to me in the last 10 years to make me see things a little differently, too many strange events. After a friend passed, and while his widow was on the phone, I had a really wonderfull interaction with a chickadee on my deck, the bird was talking to me. This bird even went and hovered while it appeared like it was trying to look in my living room window. Now, hummingbirds can hover, but I've never seen any other bird attempt to do that, let alone appear to be snooping through my living room window. I really came to believe it was my departed friend! A few years back a bald eagle was staring at my house from the railroad tracks, and even when I stopped and talked to him, he would look my direction but not fly away. Last year I had the visit from the kitten and the two stray dogs. Not long after when we moved out to the country, we found a fawn curled up next to our big tree next to the garage. The fawn was fine, it's almost as if his mother had left him there because she knew it was a safe place. Recently a butterfly was hovering near me and would not go away, I mean this thing seemed to be in love with me. It was content to eventually just sit by my foot. Really strange. So, coincidently I might add, I got an email for Roslyn Mcgrath and she was a little less busy and wanted to do some channeling and interviews. I like working with Roslyn, we have done a few shows in the past. Some of you may not be sure of her authenticity, I understand, it doesn't hurt to have doubts. I can only go by what I feel, and speaking with Roslyn feels right. She never tries to persuade me, she merely relates what she feels or hears. So this week we are going to try to channel the animal energies and I have no idea what to expect. It only makes sense that we are connected to them and we all come from the same place, right? So what are they trying to teach us? Is there anything regarding our interactions with them? 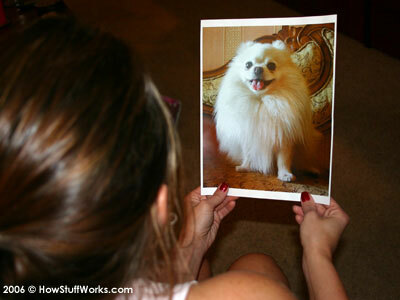 Can loved ones who have passed come back and communicate through animals? I know, I have a lot of questions. I truly have to thank Roslyn for her assistance and willingness to allow me to use her as a vessel to communicate with these energies, she gives unselfishly. Thank you Roslyn! In the future I will try to return the favor and do a show that will go in a direction that promotes her many abilities. How many throughout the world have seen something they know is real only to be ridiculed by the press and eventually fade into history? Below are a brave handfull of souls who were willing to tell their story twice so that the world would know. When I was in the third grade I saw something very unusual in the sky one night, I remember telling some kids at school and after realizing they were making fun of me, I shup up about the incident. How many have done the same? Everyone knows about Roswell, you would think that was the only incident that ever took place. Roswell seems like an obvious cover up, the press and military dismiss it so easily making it seem like there haven't been other well known ufo incidents. Yet there have been a few, at the time they may have received worldwide coverage but for some reason these reports disappear from our history books. One of the most creditible investigated ufo cases is the Braxton County/Flatwoods sightings of 1952. Today is the 60th anniversary of that incident. In 1952 hundreds of witnesses reported seeing many craft over the eastern U.S., 4 of those craft were damaged as if they had been attacked. One of those damaged craft landed near the town of Flatwoods West Virginia, located in Braxton County. 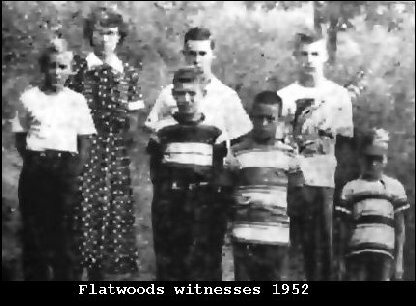 Amongst the original witnesses were a handfull of young boys and a mother of 2 of the boys. For years the story was laid to bed by the media and the military and the witnesses were made out to look like idiots. Eventually the locals did not want anything to do with reporters or investigators after that experience, why would they? 20 years ago Frank Feshino took up the fight to find evidence and get the story out. Why? It's almost as if that's been his mission in this life, and he will admit that. It's almost as if God placed Frank on this planet to help bring forward a hidden truth. How many of my guests have had that in common? Frank got to know all of the witnesses in Braxton County and pieced together how these craft came over U.S. airspace and how the military tried to shoot them down. A lot of his information came from Project Bluebook documents. Frank tried to write a book a few years back but it was butchered by the publisher pretty badly. After some frustration he finally was able to redo his book and make it accurate. This book is loaded with more detail than the original book, details about the cover up and more. As the original witnesses die off one man has been on a mission to keep their story alive. I see what Frank does as being no different than what I do, we both are on a mission to bring forth the truth, and even if we don't know exactly why we feel this way, there is an invisible force telling us to do so. Connecting the dots. Is this incident related to other incidents that were reported around that time period? Was this just one race, or was it a group of races that were visiting us? Reports indicate that these visitors were not here to hurt us, they could have done so easily, then why were they here? And if there were a few different types of craft reported, is it unreasonable to assume that they were all working together like a space federation? Is that possible? What were we doing just prior to that on the planet that may have drawn their attention? Furthermore, what if this ties into what appears to be an intervention as stated in some of my other shows? What else has been kept from us that was once known publicly? Our true origin? Our connection to the cosmos? Why? Many of you say, "just show me the evidence." 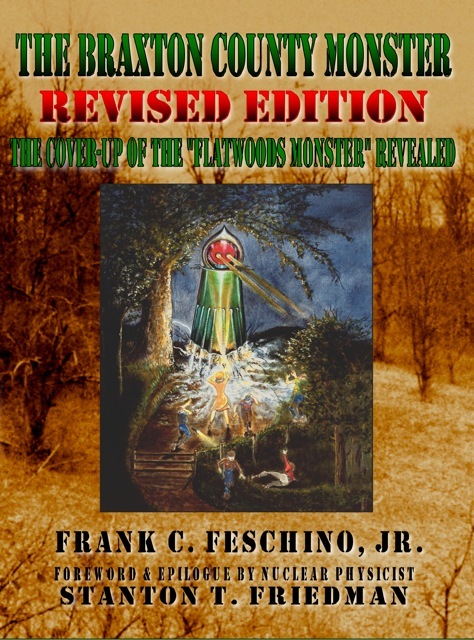 There will never be physical evidence, because it can be removed, but you can not doubt the evidence that Frank Feshino has put together in 20 years of research. This show is not just about the Braxton County/Flatwoods Monster but a real speculation as to why someone from another place would come here to begin with and what their purpose might be. What, if anything, is going on with the planet? Is it global warming? It certainly appears that the planet is going through some kind of physical change. Is it also a spiritual change? Are we also being given an opportunity to go through that change as well? To be honest I am not one hundred percent sure of what I believe anymore, I've heard so many different opinions. I can only go by what my heart seems to be telling me. My heart is telling me that we are witnessing a rapid change to the planet and it's not global warming, it's something else. My heart is telling me that I should prepare. Prepare for what? I have also noticed that there are great changes going on within the hearts and minds of others. Ideas that would have never seen the light of day are now being considered, many seem to be searching for answers because the old paradigm doesn't seem to serve them. This week I welcome back Jack Allis who has been on my show a few times. Jack has studied ancient indigenous prophecies and feels that they were trying to let us know that there would come a time when there would be great change. Well, there's always change, so what's the big deal? Let's just say that maybe there was a time when we were more enlightened and advanced than we are now. Possible? What if we've been asleep at the wheel for a long time and here may be an opportunity to snap out of it. What happens if we go over the cliff? Well, in my viewpoint, it's not a big deal since I believe we all go on regardless. However, what if many of us have chosen this time to help bring forth a change. A change in conciousness. What if that change was aligned with the Earth so we could all evolve together? What if our ancient brothers and sisters have been trying in many different cultures to tell us the same thing? Perhaps the truth has been kept from us deliberately for control purposes. Sound a bit nutty? Perhaps it is. Jack Allis felt the urge to move from his home near Milwaukee Wisconsin to Mount Shasta California. He felt the urge, like so many, to become self sustainable. Since the last time we talked I see a beeming being who is truly living his word. Regardless of whether you agree with Jack or not, I am always going to listen to someone who walks their walk. I also like the fact that Jack puts it back on you, you are the one with the answers. Too many at this time are trying to create followings and not empower others, we are not helpless beings. This week I welcome Jack Allis to the show.